The annual membership is £10.00 and you can join by completing this form and by completing a Direct Debit mandate. When you click the Submit button you will be asked to complete the Direct Debit mandate online so please have your bank account details to hand before you start. If you would rather pay by cheque or standing order please complete this application instead. If you can support us by paying an additional amount this will help us to rescue and care for more animals. The total amount to be collected by annual Direct Debit. Please tick if you are able to give Gift Aid. Yes, I am a UK tax payer. Please treat all my donations as Gift Aid until further notice. Please see the A.R.C. Donation Leaflet for more details. 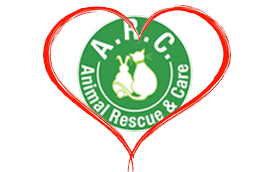 I would like to become a member of A.R.C., having read and agreed with the values of the charity (A.R.C. values can be found on our website in the About Us section). I am happy for A.R.C. to contact me with updates about the charity.